When Robert Mueller was the U.S. Attorney in San Francisco, he did something no other federal prosecutor dared attempt: He took on what was arguably the West’s most impenetrable prison gang. Mueller has a long and imperfect record battling organized crime and gangs, but once he decided to infiltrate the Nuestra Familia, his reputation as a relentless, tenacious prosecutor was sealed. I wrote this profile of Mueller in 2015 to shine light on his role fighting gang violence in the Monterey Bay area. Now, with Mueller’s team back in criminal court, it seems like a good time to remember what kind of personality is driving the news of the day. Bob Mueller’s offices commanded sweeping views of the San Francisco Bay Area. Huge shipping vessels gliding over the bay’s surface toward the Golden Gate. The rooftops of Chinatown and Russian Hill. They were the kind of views you’d pay a thousand bucks a night for in a luxury hotel, and six months into his new job, Mueller was getting paid to enjoy them every day. He’d made a lot more money at other times in his rollercoaster career—private practice in Boston had been especially lucrative for the Princeton graduate—but his heart belonged here, in the Justice Department, and eleven stories above the streets of San Francisco was not a bad place to be. It wasn’t always that way. He grew up attending private schools in a wealthy Philadelphia suburb, did a decorated stint in Vietnam with the Marines, and in law school was groomed to make money. Thin, dark-haired, and tall, with a firm jaw and a handsome, angular face, only the downward pull at the corners of his eyes softened his determined gaze and gave him a slight air of sorrow or worry or both. Mueller discovered that he was, deep in his soul, a criminal prosecutor. He did what he thought was right, not what others thought made sense, and at one point he gave up a multiple-six-figure private practice to work homicides for the US Attorney’s Office in Washington, DC. It shocked everyone that he, an attorney who in the Reagan years had been John Ashcroft’s right-hand man, would consider such a downward move. But it paid off when his boss Eric Holder was appointed deputy attorney general during Janet Reno’s reign. 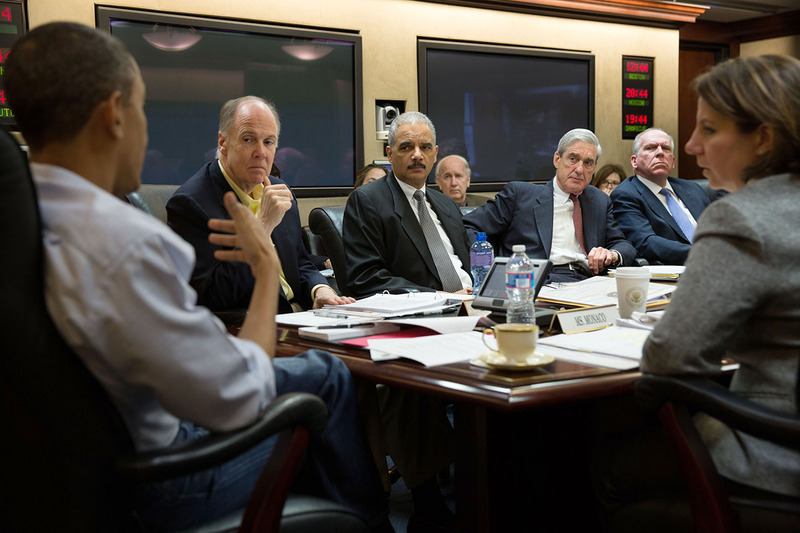 In the spring of 1998 Holder sent Mueller to run the US Attorney’s Office in San Francisco. It was a mess. Morale was in the gutter—federal agents had lied and suborned perjury in court, and newspapers were reporting that a customs officer took kickbacks from an informant in a drug-smuggling case. Prosecutors suffered the consequences of those transgressions when cases made it to court. 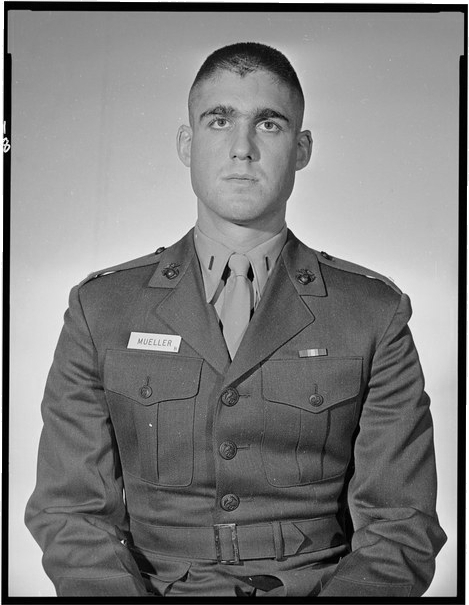 The ex-Marine in Mueller took charge. According to one reporter, he had everyone reapply for their jobs, and he made it clear that the laidback West Coast work pace would not be tolerated. Caseloads doubled, but efficiency increased. He shut off access to the press for anything that wasn’t public record. With a reputation for being tough and incorruptible, he pulled together teams to step up investigations of white-collar crimes in Silicon Valley, then surprised everyone when he took an interest in violent gangs. No one in charge of the federal prosecutors’ office—like Mueller, they usually came from the East Coast with plans to return—had ever cared about Northern California’s unique problem of prison gangs running amok in little farm towns. The feds always left that stuff to the locals. But Bob was a rolled-up-sleeves kind of guy who dug into agents’ Nuestra Familia reports with enthusiasm. He was a micromanager who liked to know the details lurking in his Northern District’s files and every day would check in with investigators on the most sensitive cases. To keep up with their data, he had a special software system designed and named it Alcatraz. FBI agents’ “302 reports” describing the work of a Nuestra Familia informant in Salinas were piling up. Where was this gang surveillance headed? A RICO case was the likeliest possibility, though it presented difficulties Mueller was all too familiar with. He’d tried and failed twice to prosecute a gang using RICO, the racketeering laws designed to reign in the Mafia. That gang was the Hells Angels, and in the 1980s Mueller lost two trials because he used gangsters as informants. His witnesses turned out to be as sleazy as the defendants, if not worse. “They let these people off, people who committed more crimes than the people they were trying,” one juror complained about witnesses who’d been offered immunity. After two mistrials and a dismissal of all charges, even the Angels’ leader, Sonny Barger, walked because the jury despised Mueller’s informants so much. It was humiliating enough that the federal judge was outraged to hear a biker named Big Red say on the stand that he was paid thirty thousand dollars for testifying, on top of another thirty grand he’d been paid while cooperating. An Angels defense lawyer seized on Red’s words, charging that Mueller’s team had bribed a witness. It came out in testimony that Big Red—a man who as one writer put it, “answers the door armed with a pistol and shoots spiders off the wall”—may only have been doing his part as a citizen because he wanted the government’s help in avoiding a murder rap. Gangs and informants came to represent a haunting phenomenon Mueller suffered only rarely in his career: failure. And that was his experience with a gang that operated in the open, in the streets. This prison gang, Nuestra Familia, presented a truckload of brand-new problems. It took years to rise into the gang’s ranks, and violent crime was the required price of admission. It was impossible to infiltrate the NF using undercover agents—unless you had a couple decades to spare and didn’t mind your men going to prison and committing murders to make their bones. No, infiltration of the Familia by FBI agents was out of the question. He’d never faced an enemy such as this—like suicide bombers, these men had nothing to lose. There were murders to demonstrate that point. One guy slain in an artichoke field, another gunned down outside his apartment in Salinas. The NF was an extremely close-knit organization whose street-level members were equally ruthless and unafraid of death and whose leaders were already doing life in the harshest prison in the state. How do you knock down men who’ve already taken the toughest punches in your repertoire? If the public didn’t always understand the moral ambiguities the government straddled when trying to take down the mobsters of the world, those notions did not slow Bob Mueller. An idea brewed and took hold among the men and women of Mueller’s team. The NF controlled California’s prisons—and through its support network of wives, girlfriends, and Norteño soldiers, they also controlled the streets. What if the team used federal law to convict those leaders for conspiracy crimes under RICO and then scattered them across the federal prison system, to Louisiana, New York, Florida, and Colorado? Such a tactic could crush their base in Pelican Bay Prison and fling them far from homes, allies, families, and each other. It might work. Of course, Mueller would still need cooperating witnesses to testify in the trial phase. One young informant the FBI had working in Salinas was pretty good, but he was low-level and had no access to the leaders, who were all in Pelican Bay. Luring anyone from the top to defect seemed impossible. With the Italian Mafia, you could threaten the wealthy, comfortable top brass with life in prison, and occasionally you’d flip a Sammy “the Bull” Gravano. But these criminals were already doing life in austere isolation cells. They didn’t even fear death. It was maddening—and it was a challenge Mueller and his team could not let pass. “Bobby Mueller was one of the most relentless guys I’ve ever met,” a college roommate once said. 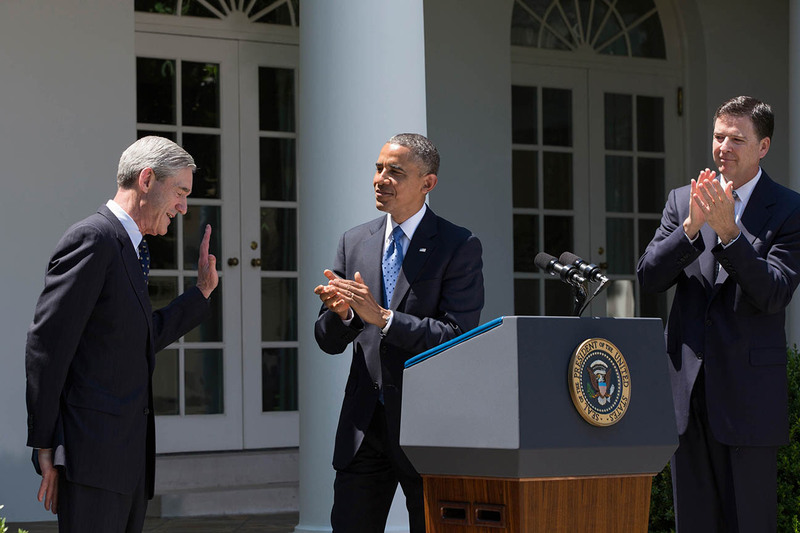 Now, still vigorous at fifty-four years old, Mueller did not hesitate before plunging ahead, beginning with the risky business of allowing FBI case agents to cultivate criminal informants inside the NF. As a veteran of the federal prosecutor’s office in Boston, where the FBI’s protection of Irish Mob murderer Whitey Bulger was currently making scandalous headlines, he might have paused to reconsider. But he did not. If the public didn’t always understand the moral ambiguities the government straddled when trying to take down the mobsters of the world, those notions did not slow Bob Mueller. That a few informants had lost their lives did not slow him either. When the key witness in the prosecution of Manuel Noriega died in a mysterious Miami car crash the night opening statements were delivered, Mueller was not deterred—his team found another witness and won the case. So when the call came to embark on this quixotic adventure in California, Robert Swan Mueller III jumped on his horse and brandished his sword.